Economics is not merely a game to be played by clever professionals, but a discipline that touches upon the most pressing practical issues at any historical juncture. The wealth and poverty of nations is at stake; the length and quality of life turns on the economic conditions individuals find themselves living within. In Living Economics, Peter J. Boettke calls for economists to responsibly shape the minds of future generations. Boettke’s fascination with and passion for economics is contagious, concludes Anna Grodecka. Living Economics: Yesterday, Today, and Tomorrow. Peter J. Boettke. The Independent Institute. June 2012. “Where did economics go wrong?” is the title of one of the chapters in the latest book published by Peter J. Boettke; a question that many have been asking since the outbreak of the recent financial crisis. Some authors claim that zombie ideas are to be blamed – economic ideas that are neither alive nor dead, but they continue to underlie the thinking of some economists and policy-makers (see John Quiggin’s Zombie Economics). According to Boettke, University Professor of Economics and Philosophy at George Mason University, the fundamental problem lies in the teaching of the economic science. The book consists of 22 essays that have been mostly previously published. The essays are gathered in three main parts: ‘On Teaching Economics’, ‘On Teachers of Economics’, and ‘On the Practice of Economics’. Although the book seeks to encourage independent thinking, it mainly focuses on the tradition of mainline economics – not to be confused with mainstream economics. Boettke defines mainstream economics as the line of research currently fashionable among the academic profession and results in the most papers published. Mainline economics instead describes a set of propositions common to economic and philosophical writers, starting from Thomas Aquinas, through Late Scholastics, Adam Smith, Austrian economics and representatives of New Institutional Economics. Mainline economics concentrates on the human being pursuing their interest and the institutional framework that enables these individual interests to flourish, leading to economic growth. According to Boettke, it is mainline economics that will bring the performance of economics back on track after the crisis. Academic economists often regard teaching as an inevitable evil, opposed to their research activities. Boettke emphasizes that the quality of teaching economics should not be underestimated, as teachers have a responsibility in shaping the minds of future generations: “I consider the teaching of economics to be a calling. In many ways the primary justification of our compensation as economists is the didactic role we play in the society.” (p.32) The first part of the book, ‘On Teaching Economics’, thus focuses on the role of economics as a science and the role of economics teachers in society. While teaching at undergraduate level, we should make sure that students understand the relation of economics to everyday life, and that they are conscious of the limits of economic science. It is also important to make sure that students see models as “tools of economic reasoning, not the subject of economics” (p.31). While teaching graduate students, who may later become teachers of economics themselves, we have to make sure that they understand the mission of their profession and know which path to choose in order to succeed. Here Boettke provides some advice from his own experiences. Viewing the role of teachers with great importance, Boettke devotes the middle part of his book to the former professors and mainline economists that influenced him extensively. Among the personalities that he describes are famous Austrian thinkers such as Hayek and von Mises, several Nobel Prize winners (Elinor Ostrom, James M. Buchanan), but also his lesser-known teachers who have influenced his way of thinking. ‘On the Practice of Economics’ deals with the questions of current problems in the field of economics and the reasons for them. Boettke feels that part of the blame for the current state of economics is to be borne by Paul Samuelson, the influential author of a textbook in economics that shaped the understanding of this science among many generations. Samuelson promoted the usage of mathematical methods in economics, which required many simplifications and unrealistic assumptions in order to make the models and functions well-behaved. Boettke sees this as a very dangerous development of economic science, in the wake of which “the medium was becoming the message” (p.277). He claims that it is partially a result of the desire to bring economics closer to the natural sciences. However, we should bear in mind that the object of study in the case of economics – human beings – is purposeful. The motives and actions of entrepreneurs and the process of exchange and forming the market should especially be taken into thorough consideration. The recent global financial crisis showed the need for redefining economics as a science and has made it clear that we should not confuse economics with engineering sciences. According to Boettke, now is the time to introduce changes into the discipline. A new group of well-trained economists is needed and this is where teachers of economics come into play. They have the responsibility that students come to see economics as “both an illuminating and entertaining discipline and a discipline that tackles the most important questions of our age where questions of life and death hang in the balance.” (p.387) It is important to note here that Boettke is not the only one who notices that economists tend to denigrate teaching and exalt research. The same point has been raised by David Colander in his book The Lost Art of Economics, which is a very good reference for anybody interested in teaching or studying economics. Boettke’s fascination with and passion for economics is contagious. 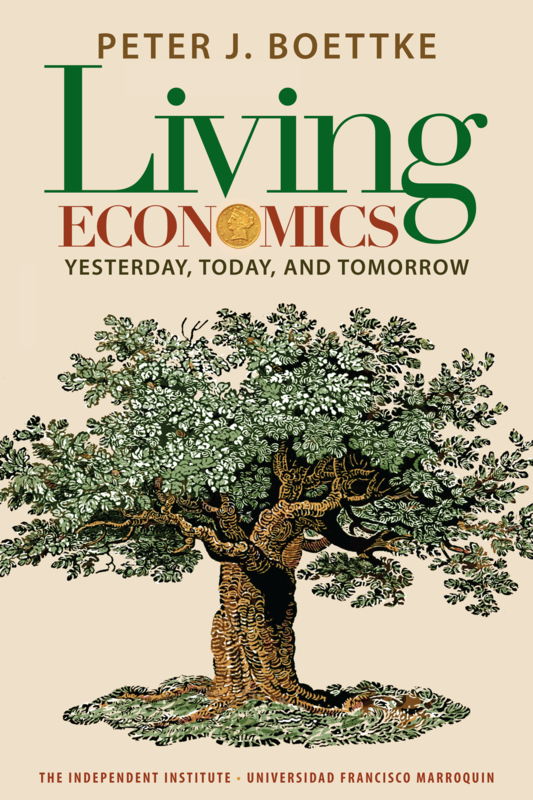 Living Economics is a well-written book with many interesting insights even (or maybe especially) for those involved in mainstream economics highly criticized in the book. The chapters on the mission and teaching of economics will certainly be a great inspiration for current and future teachers of economics. However, readers should be aware of the fact that the opinions presented by Boettke are far from objective and evidently favour the branch of the economic discipline that he happens to represent. Anna Grodecka is a PhD student in macroeconomics at Bonn Graduate School of Economics and a visiting researcher at the LSE. She obtained her Master’s Degree in Finance from Warsaw School of Economics and Johannes Gutenberg University in Mainz. In her research, she focuses mainly on monetary policy, the financial and housing markets, and their role in the recent crisis. Read more reviews by Anna.